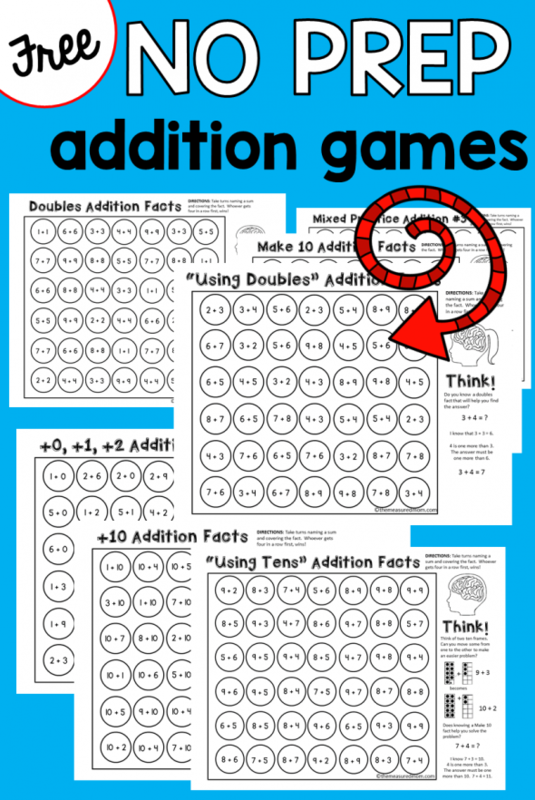 Read on for addition fact strategies and nine no prep addition games! 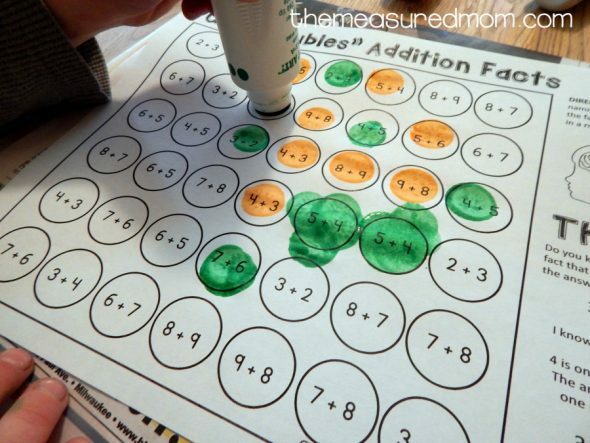 Do you remember how you learned your addition facts? My memory is a little fuzzy when I think back (over thirty years -ago – agh!) to first grade. But I remember flash cards. And as a new teacher, that was all I knew. 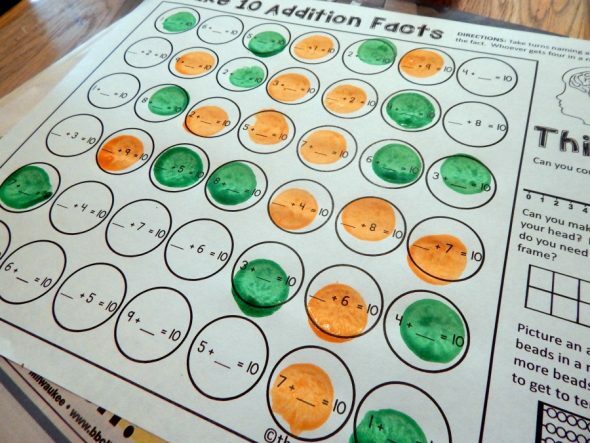 In fact, our math series came with a giant set of colorful punch-out flash cards – one set for each student. Can you guess where I’m going with this? Hint: it’s not to sing the praises of flash cards. Are flashcards a good teaching tool? I’m not opposed to flashcards IF they’re used after kids have developed some basic understandings. 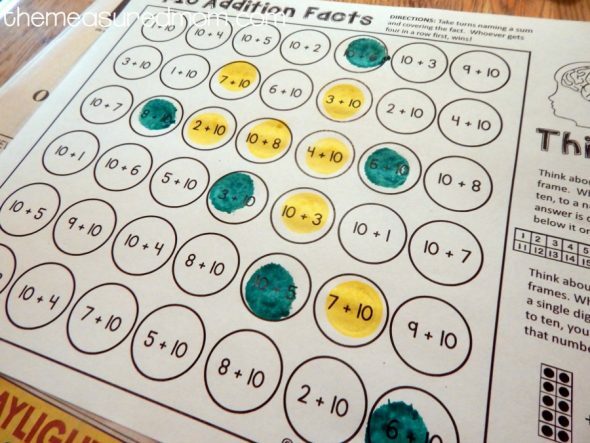 While memorization of the addition facts is the end goal, it should come with hands-on practice and engagement with facts – not drill, drill, drill. You know how some people automatically break down numbers in their head? 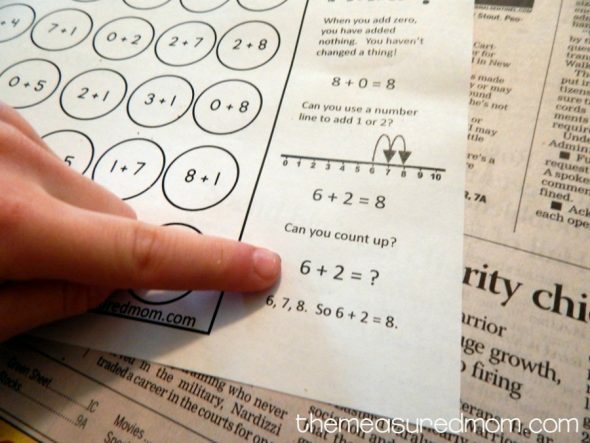 You give them a big number to add or subtract, and they do it quickly. My husband is one of those people. I try to think it out, get a fuzzy brain, and then grab paper and pencil for some old-fashioned borrowing and carrying. All those flash cards helped me memorize the basic facts, but they didn’t teach me how to manipulate numbers. 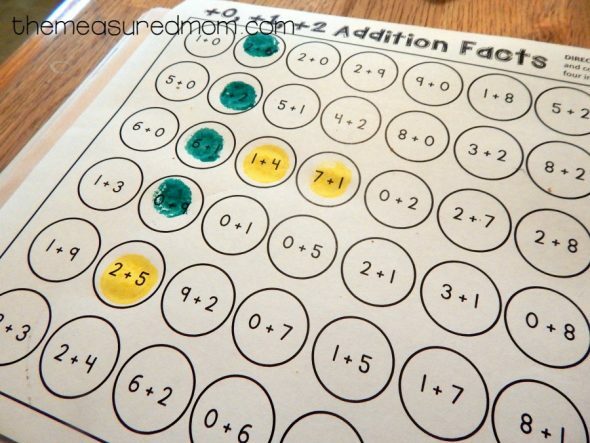 What strategies do kids need when solving addition facts? In the sidebar of each game you’ll find strategies that you and your learners might find helpful. If the sidebar is a distraction when your child is playing, you can fold it underneath the game. Did I mention that these games are NO PREP? Just print and play! Whoever gets four in a row first, wins. The first game is an easy one. It reviews the +0, +1, and +2 facts. The second game includes a set of facts I don’t remember on my first grade flashcards: adding ten. For some reason, the doubles facts are usually easy and fun for kids to learn. Here’s where strategy really comes into play. 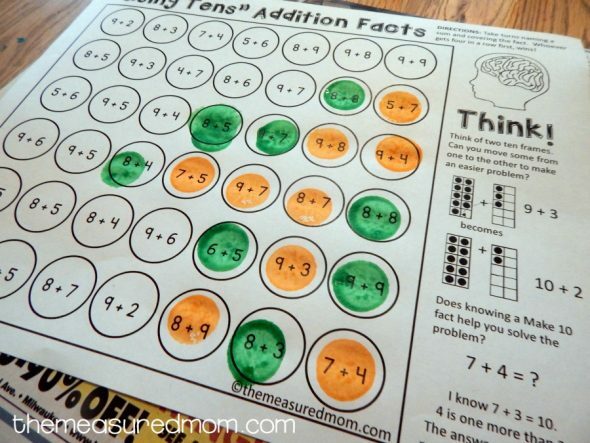 How can kids use their understanding of ten to solve the harder math facts? Finally, kids can use what they know about doubles facts to play this game. We often call these “doubles plus one” facts. The download also includes three mixed practice games, for a total of nine no prep addition games. 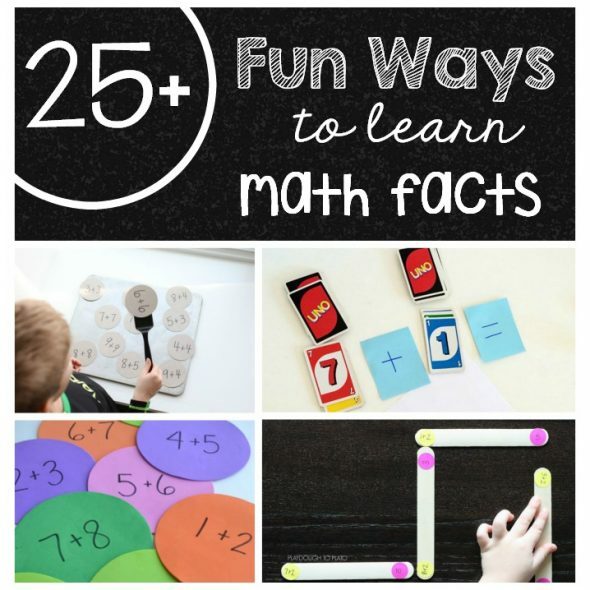 Find even more learning fun! Here are even more ways to learn! © 2016 - 2018, Anna G. All rights reserved. Thank you so much. 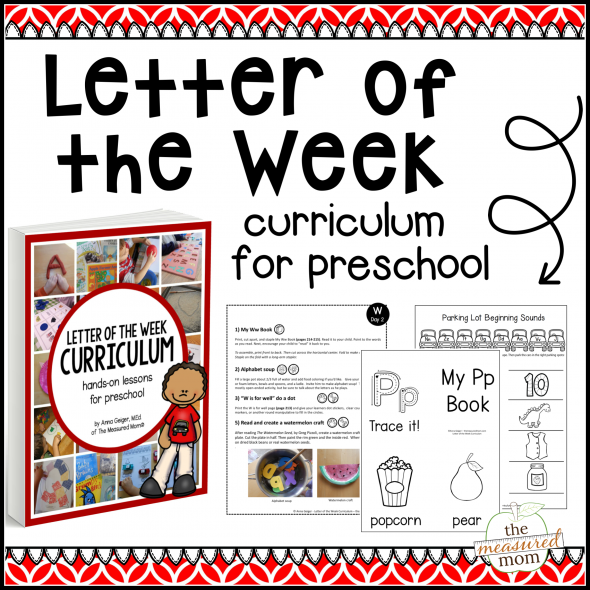 As always your printables are top notch and the best around. I love your site and all your wonderful ideas. Hopefully things are going to get better and better. I am sending prayers. Thank you, Deborah! Things are starting to pick up. Thank you for your prayers!! Thank you! These are great – just what we need to practice! We play Addition War with a deck of cards, but it will be nice to add something new to the routine. Brilliant! I’ve been doing this for years with kids, but never could think of a way to create a printable showing the strategy! LOVE it!! Thank-you very much for this resource! Hi! My name is Erika and I love your recourses. I have a question. May I translate them? I would still only use them for my class and if colleagues would ask about them, I would refer to your site. Thank you so much for your hard work. Hi Erika! I’m sorry, but for copyright reasons I cannot give you copies of my files to edit and translate. Of course, I understand 🙂 Thank you! I super super love these! 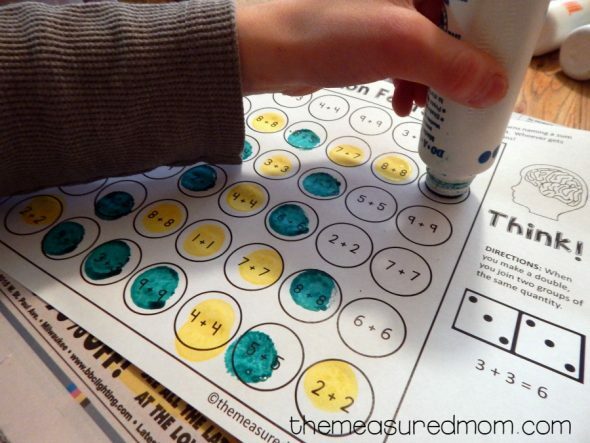 I’ll be watching to see if you make any games like this for subtraction strategies (right now we are trying to learn the strategy of counting up…it’s haaaaaard! Games like this would really help!). I’ve had that request a few times, Megan, so I know I need to do it! Not sure how soon, but maybe within a month. Thank you – these are great (and I love the special marker…). I always find something amazing on your website. Right on! It’s often the simple ah ha-s we forget to pass on cause they are so ingrained in us and we forget they are not obvious to many of our young learners. Thanks for all you do to help us. Love these. I am not a “teacher” in a school anymore, but I am homeschooling my 4 young boys. Drill, drill, drill is not how math facts should be taught. I LOVE that you made these for using different strategies. Thank you!!! Thank you for all the fun games that have made our math block fun. I really like all the fun activities that you have created. Thank you these are perfect! I saw that you were thinking about doing a set of games and strategies for subtraction. Have you gotten around to it yet?